OSI145 – Overcentre Valve | Tucson Hydrocontrols Pvt. 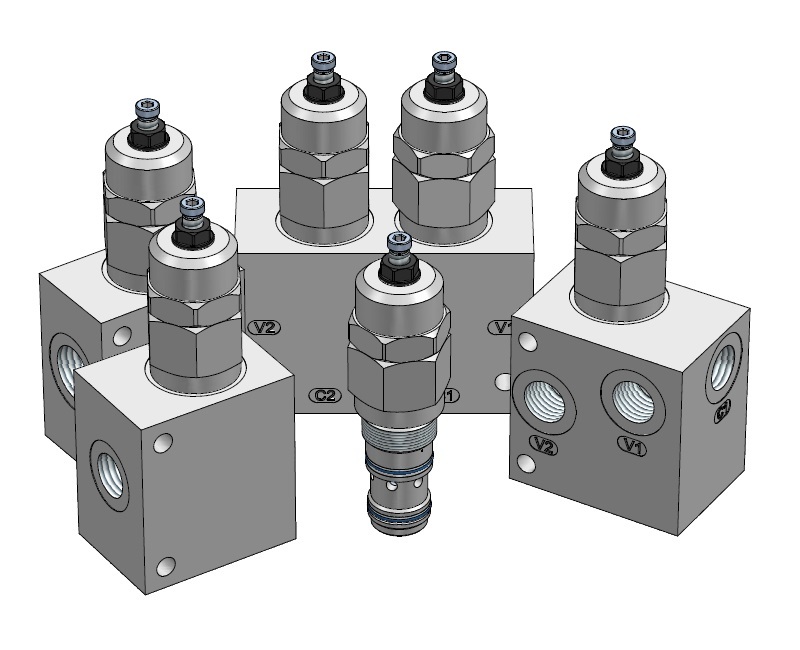 Ltd.
Overcentre valves give static and dynamic control of loads by regulating flow into and out of hydraulic actuators. The Overcentre valve will stop the load from running away in the event of a hose burst. 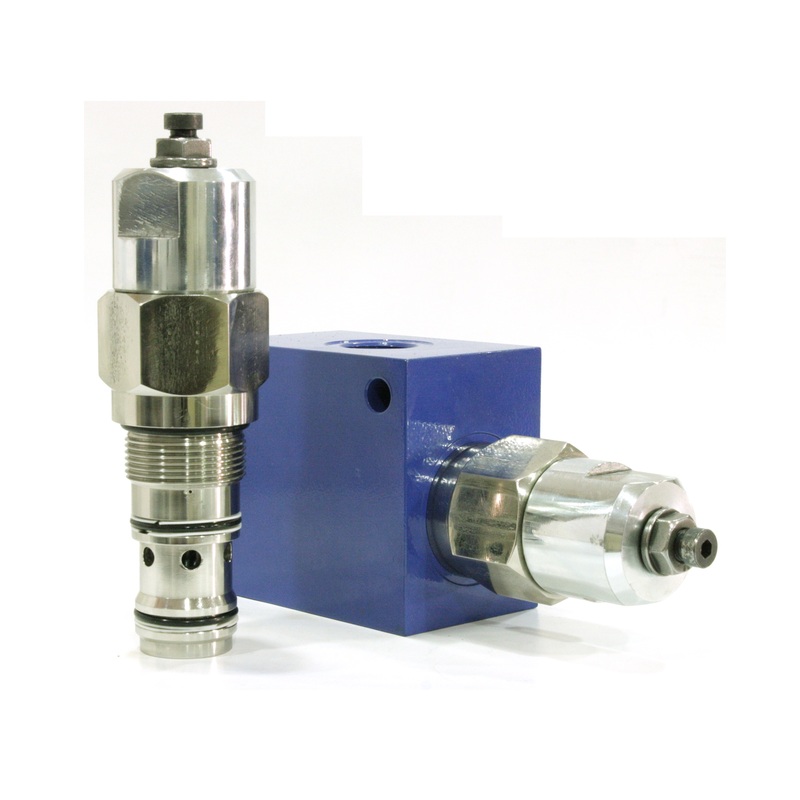 If open center directional control valves are used, they will allow the thermal expansion relief of the hydraulic fluid. These valves provide excellent hose burst protection. The check section allows free flow into the actuator (from 2 to 1) then holds and locks the load against movement (from 1 to 2). The pilot pressure in the pilot port (3) will give a controlled movement to piston when the pressure is applied. The pressure required to open the valve and allow movement depends on the pilot ratio of the valve. 5:1 Best suited for applications where the load varies and machine structure can induce instability. Other ratios can be made available upon request.